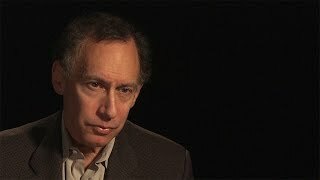 Robert Samuel Langer, Jr. (born August 29, 1948 in Albany, New York) is an American chemical engineer, scientist, entrepreneur, inventor and the David H. Koch Institute Professor at the Massachusetts Institute of Technology. He was formerly the Germeshausen Professor of Chemical and Biomedical Engineering and maintains activity in the Department of Chemical Engineering and the Department of Biological Engineering at MIT. He is also a faculty member of the Harvard-MIT Division of Health Sciences and Technology and the David H. Koch Institute for Integrative Cancer Research. He is a widely recognized and cited researcher in biotechnology, especially in the fields of drug delivery systems and tissue engineering. His publications have been cited approximately 229,000 times and his h-index is 240. According to Google Scholar, Langer is one of the 10 most cited individuals in history. Langer is recognized as the most cited engineer in history. Langer's research laboratory at MIT is the largest biomedical engineering lab in the world, maintaining over $10 million in annual grants and over 100 researchers. In 2015, Langer was awarded the Queen Elizabeth Prize for Engineering, the most influential prize in the world for engineering. Robert Langer is one of MIT's 13 Institute Professors and the award-winning head of the Langer Laboratory, which works at the interface of biotechnology and materials science. He is a prolific inventor with approximately 750 issued and pending patents worldwide. His breakthrough discoveries have been critical and controlled drug delivery and tissue engineering in the battle against cancer. Some of his findings are also being used to make frizzy hair straight and to try to help Julie Andrews sing again through the use of synthetic vocal chords. 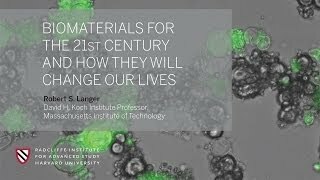 In this lecture, Robert S. Langer, the David H. Koch Institute Professor at the Massachusetts Institute of Technology, examines the enormous impact of biomaterials and biomaterial-based drug delivery systems on human health and how these new technologies might develop and be applied in the future.